Seniors, it’s that time of year where you’re hearing some exciting news and some not-so-exciting news. 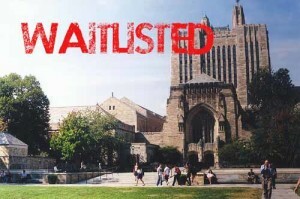 Plus, some of you will be waitlisted. Here is the scoop. 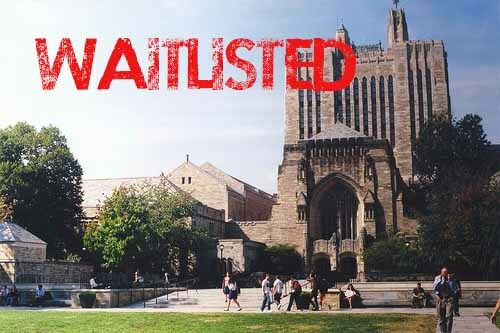 Ok, so waitlisted is WAY better than denied because you can fight to get off of the waitlist. 1. Call and ask who is the admissions rep in charge of your file. Ask if you are allowed to send anything extra. 2. Write a very detailed “Why this school” piece, focused heavily on academics, using tons of proper nouns: programs, professors, classes, clubs… Not a direct replica of any piece you did on the app. 3. Do an official, registered visit that your rep knows about, yes, even again, but only if the rep knows. 4. Send in two new teacher rec letters, or one from a coach or boss. Be sure to call and ask if this is ok before you ask innocent people to write letters for you. 5. Try to meet your admissions rep when you go there, but do not be pushy or weird. 6. Update your resume and send to your rep; via email is ok, if the rep is ok with that. 7. Make sure your rep knows about your current grades and new achievements since applying. If you move quickly and well, fighting the waitlist can have great results. You will need to go ahead and make a deposit to school A (the school you choose to attend at this time). In the event that you get off of the waitlist for school B you will lose your deposit at school A, but you must make the deposit at school A and be ready to go there, in case we do not get off of the waitlist for school B.